The KHL player rights to D Dmitri Osipov (Vancouver, Brandon, 2013-17) have been traded by Sochi (Russia, KHL) to Ak Bars Kazan (Russia, KHL) for G Arseni Akhmetov (born 1999). Last season, Osipov had a goal and 10 assists in 42 games with Vancouver, then added a goal and two assists in 31 games with Brandon. . . . He was the first overall pick in the 2013 CHL import draft and in the 2013 KHL junior draft. . . . Osipov played out his junior eligibility last season. . . .
F David Rutherford (Vancouver, Spokane, 2004-08) has announced his retirement through his Twitter account. Last season, he had 19 goals and 24 assists in 41 games with the Belfast Giants (Northern Ireland, UK Elite). . . .
D Brennan Yadlowski (Lethbridge, Everett, 2007-12) has signed a one-year contract with the Guildford Flames (England, UK Elite). Last season, he had five assists in 28 games with the U of Alberta (U Sports). He graduated with a Bachelor of Commerce degree in June. 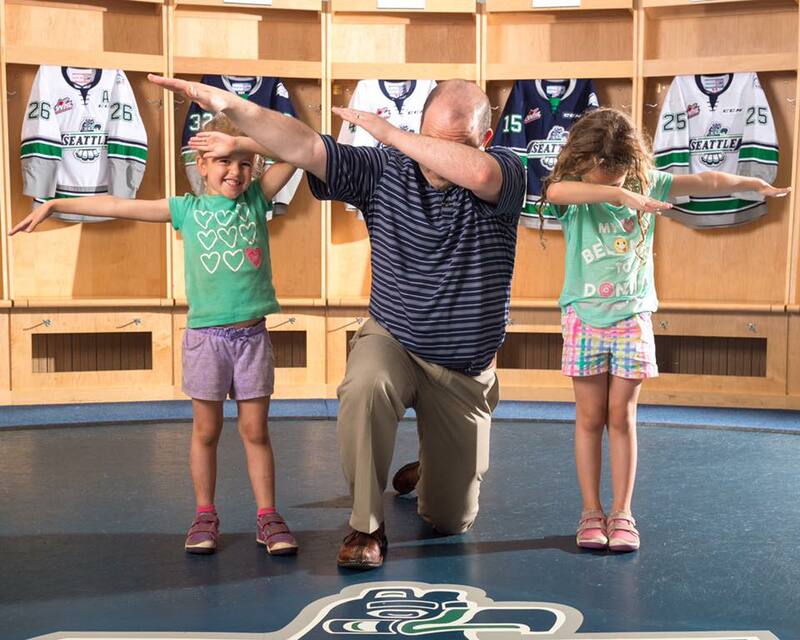 Exciting day being named head coach of the @SeattleTbirds. Such an honor. Thank you for all the well wishes! relations, promptly showed him a key coaching move. 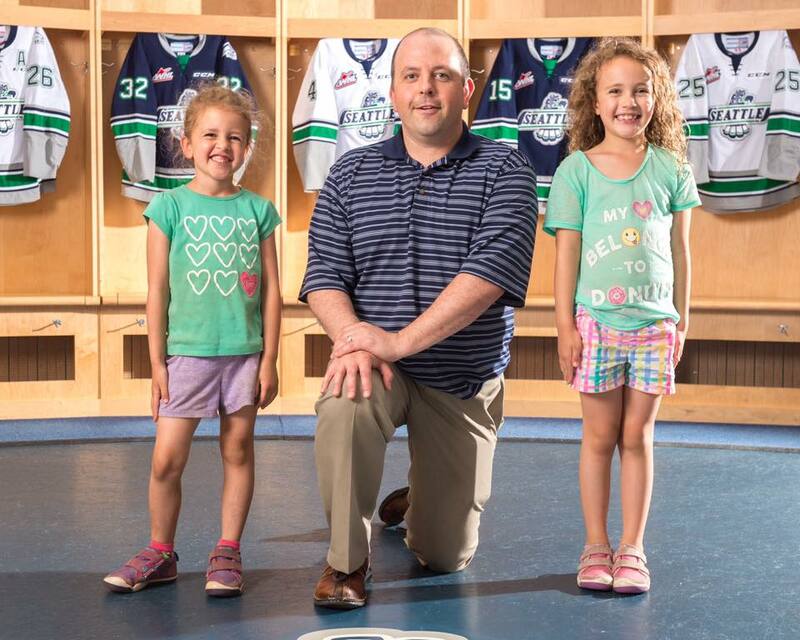 Matt O’Dette is the new head coach of the Seattle Thunderbirds, the reigning WHL champions. O’Dette spent the previous four seasons as an assistant coach with Seattle, working alongside head coach Steve Konowalchuk, who has left to join the NHL’s Anaheim Ducks as an assistant coach. 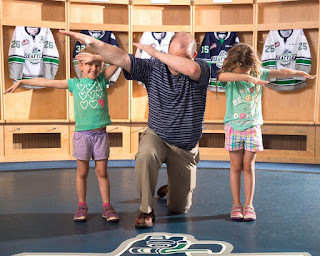 As a Seattle assistant coach, O’Dette, 41, was responsible for the defencemen, including Shea Theodore, the WHL’s top defenceman in 2014-15 and Ethan Bear, who won the award last season. O’Dette also directed the Seattle penalty kill, which ranked first in the 22-team league in 2015-16 and third last season. 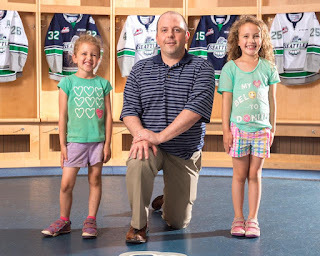 O'Dette, who is from Toronto, was with the ECHL's Bakersfield Condors, as director of hockey operations and head coach, for two seasons before joining the Thunderbirds. He also worked as assistant GM/assistant coach with the ECHL's Stockton Thunder. As a player, he got into 663 professional games over 14 seasons in the AHL and ECHL. A defenceman, he played with the OHL’s Kitchener Rangers and Sault Ste. Marie Greyhounds. The Thunderbirds now are looking for two assistant coaches, one to fill the void created by O’Dette’s promotion and the other because Tyler Alos has left the organization after three seasons on staff. Alos played 201 regular-season games over four years with the Thunderbirds before retiring on Dec. 3, 2012, after incurring multiple concussions. Eide’s story on O’Dette’s promotion is right here. F Cavin Leth has decided to attend Ryerson U in Toronto and play for the Rams in 2017-18. Leth, 21, split last season between the Seattle Thunderbirds and Prince Albert Raiders. From Taber, Alta., he had three assists in five games with the Thunderbirds, then put up 23 goals and 13 assists in 63 games with the Raiders. He also played with the Swift Current Broncos during his WHL career. All told, he had 44 goals and 35 assists in 262 regular-season games. Do you stop off here on a regular basis? If you do, why not show your appreciation for the work that goes into producing this blog by making a donation? All you have to do is click on the DONATE button and follow along from there. The OHL’s Kingston Frontenacs have said they will introduce their new head coach today (Thursday). They have been in the market for one since Paul McFarland left to sign on as an assistant coach with the NHL’s Florida Panthers. . . . There has been speculation in OHL circles that Josh Dixon is the leading candidate to take over in Kingston. Dixon spent three seasons (2011-14) as an assistant coach with the Regina Pats and was with the Swift Current Broncos for 2014-15. . . . Dixon, who also is working on a masters in sports psychology, is in player development with CAA Sports. F Austin Wagner of the Regina Pats had shoulder surgery on June 7 and could be out of action for as long as six months. Perhaps the fastest skater in the WHL last season, he has signed with the NHL’s Los Angeles Kings and, as a 20-year-old, is eligible to player with their AHL affiliate, the Ontario Reign. But he is expected to miss all of training camp and the start of the 2017-18 season. So might the Kings send him back to the Pats, the host team for the 2018 Memorial Cup? . . . Greg Harder of the Regina Leader-Post has more right here. The seventh annual TeamSnap Hockey Coaches Conference in Vancouver runs on Friday and Saturday. Among the presenters are Glen Gulutzan, the head coach of the NHL's Calgary Flames; Ray Ferraro, the terrific hockey analyst with TSN; Craig Cunningham, a former WHLer who now is pro scouting with the Arizona Coyotes; and Winnipeg Jets assistant coach Jamie Kompon, who is a former GM/head coach with the Portland Winterhawks. . . . If you haven't yet registered, click right here. As you register, enter the coupon code TakingNote and you’ll get 20 per cent off the registration fee.